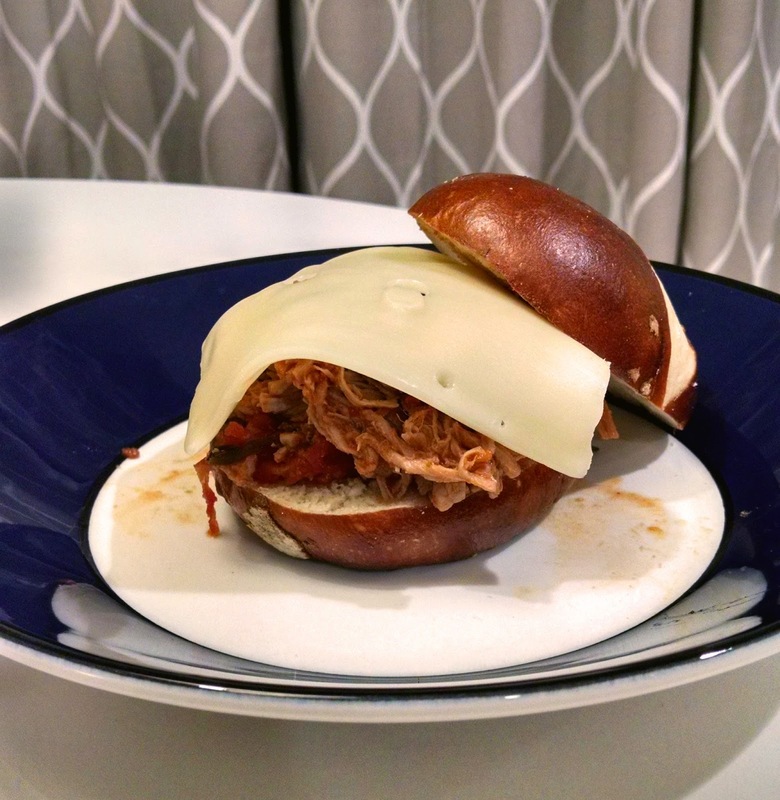 Pulled pork on a pretzel bun. Place first six ingredients into a large dutch oven, bring to boil over high heat. Place cubed Pork, reduce heat to low, cover and simmer for 45 mins to 1 hour, stirring occasionally. When the knife pierces the pork with ease, it is done. Remove the pork from sauce into a large bowl. Leave the sauce uncovered and reduce to half by bringing back to boiling on high. Stir periodically, scraping off the sides. It will also thicken while reducing. Pulling pork, I find this step quite tedious. 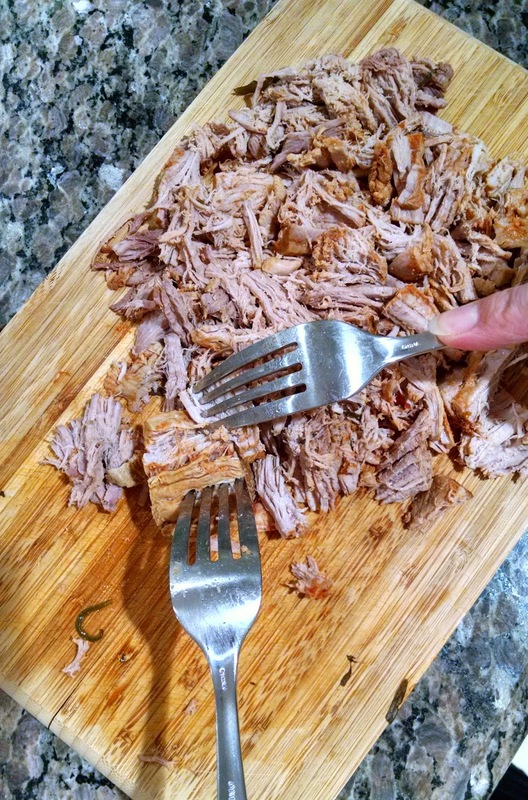 While the sauce is reducing, shred the pork with two forks. 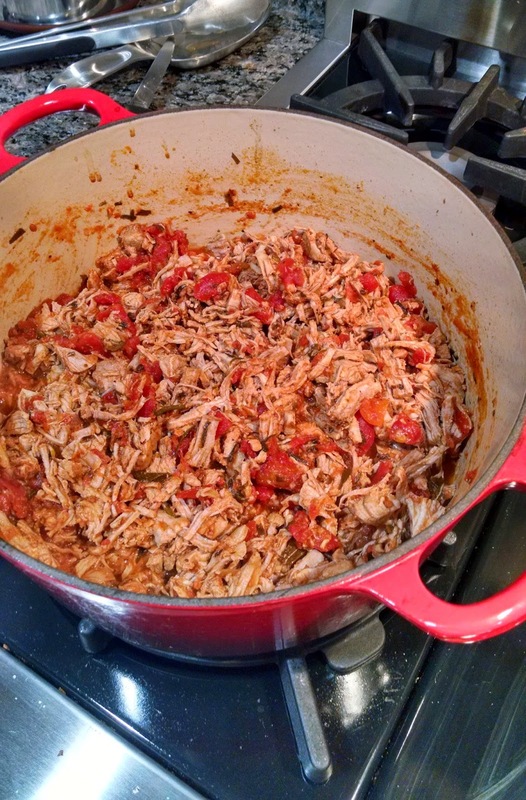 Return shredded pork back to sauce and stir well to incorporate. Serve on a toasted pretzel bun with a slice of cheese on top. 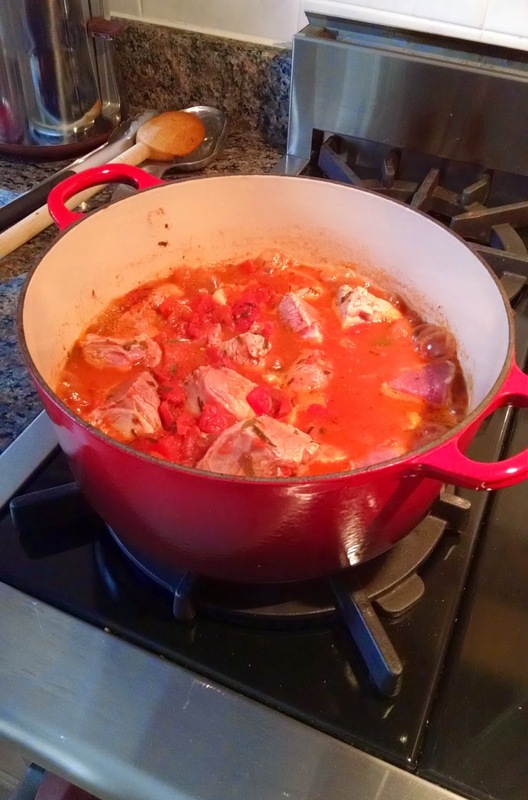 Tip: I would let it sit in the pot for at least 30 mins before eating so the pork can soak up all the juices back in (the dutch oven will keep the contents nice and hot with the lid closed). Yields about 12-14 sandwiches based on size of bun. Which means several weeknight dinners if cooked on a Sunday. Also perfect for a football part instead of chili.